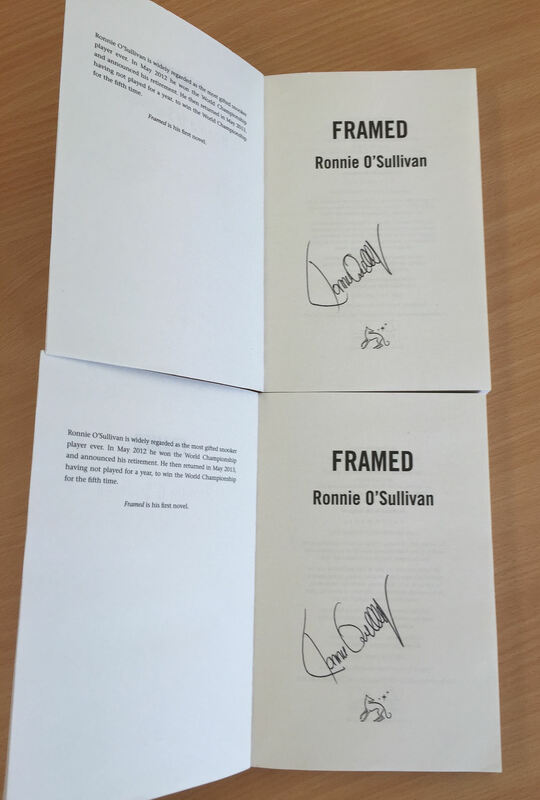 The paperback version of Ronnie O’Sullivan’s debut novel Framed is now available – and we’ve got two signed copies to give away. For a chance to win just go to our Twitter page, look out for the competition tweet today and retweet. Two winners chosen at random will each receive the signed book.